Purchase a SmartTag and set-up your online profile. Create and update your profile anywhere for FREE. If your pet is missing, report it lost to SmartTag. SmartTag instantly alerts shelters, rescue groups, veterinarian offices and lost-pet websites within a 50 mile radius of your pet's last known location. A SmartTag emergency response team member calls and locates the owner to reunite them with their pet. Your pet’s safety should come first. Over 90% of found pets have an IDTag. A SmartTag ID will ensure your pet is properly identified when found. Veterinary costs continue to rise, and at SmartTag we want to provide you with an introductory pet insurance plan to help reimburse you for your pet's veterinary expenses. We are the only ID Tag company to include pet insurance with our membership. Dr. B Voynick Veterinarian, American Animal Hospital, NJ Dr. Brian T. Voynick is the owner and director of the American Animal Hospital. His fields of interest are in diagnostics medicine, endoscopy and alternative medicine. He is a renowned certified veterinary acupuncturist, with a special interest in chinese herbal medicine. Dr. Voynick's mastery of this remarkable healing art relieves pets' chronic pain to give them longer, happier lives. Clients and their pets find the treatments to be pain-free and relaxing. He has served as chairman of the New Jersey Veterinary Medical Association Ethics and Grievance Committee as well as president of the Randolph Area Chamber of Commerce. Dr. Voynick enjoys hosting the Pet Stop on News 12 New Jersey and spending time with his friends and family. Dog and cat microchipping is a simple procedure. A veterinarian or trained vet tech simply injects a microchip for pets, about the size of a grain of rice (12mm), beneath the surface of your pets skin between the shoulder blades. The process is similar to a routine shot, takes only a few seconds, and your pet will not react any more than he would to a vaccination. No anesthetic is required. The SmartTag microchip is permanent pet ID with a one-time lifetime registration, that also comes with a visable metal SmartTag pet ID. The microchip itself has no internal energy source, so it will last the life of your pet. It is read by passing a microchip scanner over the pets shoulder blades. The scanner emits a low radio frequency that provides the power necessary to transmit the microchips unique cat or dog ID code and positively dentify the pet. The SmartTag microchip also has a anti-migration feature to help ensure that the microchip will stay in place so that it may be easily located and scanned. If your pet gets lost and is taken to an animal shelter or veterinarian, they will scan the microchip to read its unique ID code. This is the number used by SmartTag to identify the pet and retrieve your contact information, which is used to contact you and reunite you with your pet. Do you charge update fees for my pet and owner profile? No there are no fees to update, change or add information to your profile. How is a found pet reunited? When we receive a call about your pet being found, we will take all the details from the finder first. We will then place the caller on hold while we try to reach you using all your contact details including your home, cell and work telephone numbers. Once you’re on the phone, we will directly connect you with the finder. For extra safety, we will be on the call with you and help to arrange reunification. No. Your pet is enrolled for its life with a SmartTag microchip. What frequency does the SmartTag microchip work on? The International Standard Organization (ISO) is the universal standard for Microchips. The frequency these chips are set to/read at is about 134.2 khz. Our microchips are approved by ICAR, ISO11784/785 compliant and part of the AAHA National Database. How long will my microchip last? A microchip will normally last the lifetime of your pet because it is composed of biocompatible materials that will not degenerate over time. The SmartTag microchip has a anti–migration feature to help ensure the chip stays where it’s implanted. Also, since microchips require no power source and have no moving parts, there’s nothing that can wear out and need to be replaced. Pet owners can also check to make sure their pet’s microchip is still working by asking a vet to scan it during their pet’s next checkup. Register your pet’s microchip in a national pet recovery database with SmartTag with your contact information, so you can be contacted when your lost pet is found. Also, remember to keep your contact information up to date whenever you move or change phone numbers. This is a lifetime registration that requires no fees to update any of your contact information. As a pet owner, how do I register and enroll my pet's SmartTag microchip? Veterinarians, animal shelters, rescue organizations, municipalities or pet retail locations will handle registering your pet in most circumstances. If you would like to check if your pet has already been registered give us a call at 1-888-379-8880 9am to 5pm (EST), 7 days a week. Microchips carry a unique identification number to identify your pet. Pet microchips are not tracking devices. They are radio-frequency identification (RFID) implants that provide permanent ID for your pet. Because they use RFID technology, microchips do not require a power source like a GPS. When a microchip scanner is passed over the pet, the microchip gets enough power from the scanner to transmit the microchip's ID number. Since there’s no battery and no moving parts, there's nothing to keep charged, wear out, or replace. SmartTag microchips will last for the life of your pet. It is vital to keep your contact information up to date so that you can be reached. If your pet gets lost and is taken to a vet clinic or animal shelter, your pet will be scanned for a microchip to reveal his unique ID number. That number will be called into the pet recovery service and you will be contacted using the contact information on file with your pet’s microchip. How is a microchip implanted in my dog or cat? The microchip comes preloaded in a sterile applicator and is injected under the loose skin between the shoulder blades. 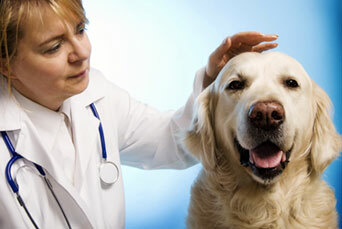 The process takes only a few seconds and your pet will not react any more than he would to a vaccination. No anesthetic is required for a microchip implant. The procedure is performed at your veterinarian’s office or at the shelter where you adopted them. It is a simple procedure that is similar to administering a vaccine or a routine shot. How does the SmartTag differ from a microchip? A: The obvious differences between the SmartTag and a microchip is that our ID tag is visible, non-invasive and less expensive. A microchip is injected into the top of the shoulders of a dog or cat, either by a veterinarian or a trained technician, depending on the state. In order for a microchip to be effective, it needs to be registered with the correct owner contact information and it needs to be taken to a shelter or veterinarian to get scanned. Microchips work on 3 different frequencies, so the shelter or veterinarian might not have the right microchip reader. Each SmartTag is engraved with a unique serial number and our live toll free phone number. In the event your pet is ever lost we immediately send out a broadcast alert via email and fax to all of the shelter, rescue groups and vets in a 50 mile radius of the pet's last known location. You can be anywhere in North America. If someone finds your pet astray, all they do is call the toll free number.